Hi Ginger Snap Crafts readers! 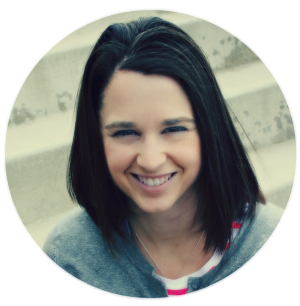 I'm Kimberly and I blog over at A Night Owl, a blog about the evening antics of a working mom! I'm wife to my best friend Andre, and mother to two adorable boys, AJ and Alex. In my "spare time" you can likely find me on Instagram, and I enjoy crafting, photography, thrifting, parties or a quick and easy recipe. This past year I have really enjoyed sharing this aspect of my life through the blog and connecting with so many amazing people. 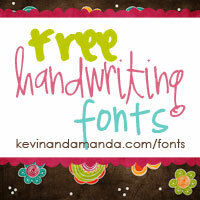 I always love to meet new friends and would love for you to come by and introduce yourself! I just think it's fabulous that Ginger is taking a break this holiday season to spend quality time with her family; I find myself scaling back these last couple of weeks as well and trying to get things in line for Christmas. It's such a fun (and busy) time of year! As I reflect on this past year, there are a few projects that stand out as some of my favorites and I wanted to share those with you! 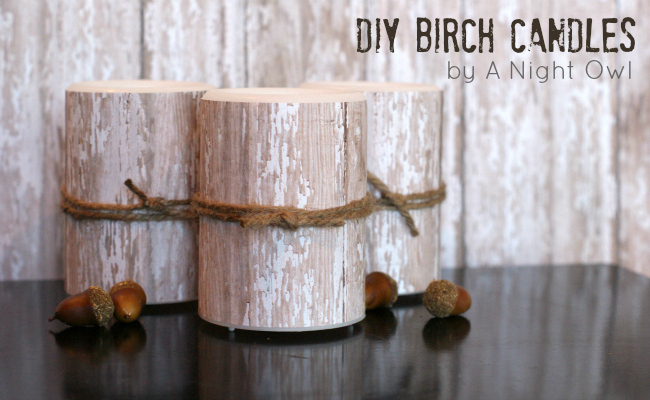 One of my favorite projects of the year is a recent one - these DIY Birch Candles! I've been loving all of the birch candles that I've seen at stores like Pottery Barn and World Market this season, but I wanted a way to create the look for less. These candles have been a big hit and are just so easy and inexpensive too! The more you get to know me, the more you'll see that most of my projects take little time and money, perfect for the mom or woman on a budget and on the go! This year I've fallen in love with mercury glass. 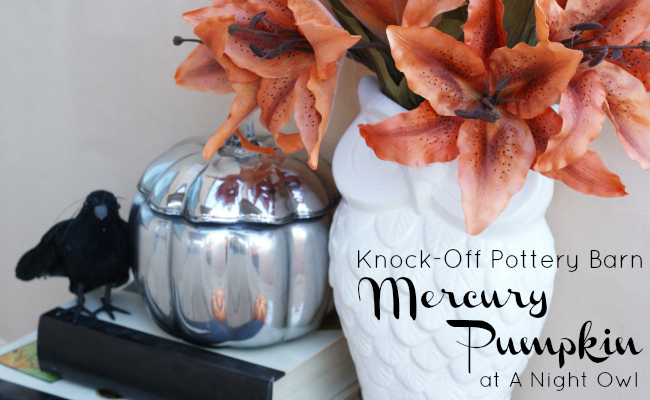 But again, wanted the look for less, so we've had some fun creating projects lately featuring the mercury glass look, such as this Knock-Off Pottery Barn Mercury Pumpkin. Did you know that A Night Owl has a cupcake contributor? Yes, we love cupcakes that much that we feature a new fun reci-tweak (we start with a boxed cake) each month at our Late Night Snack series! 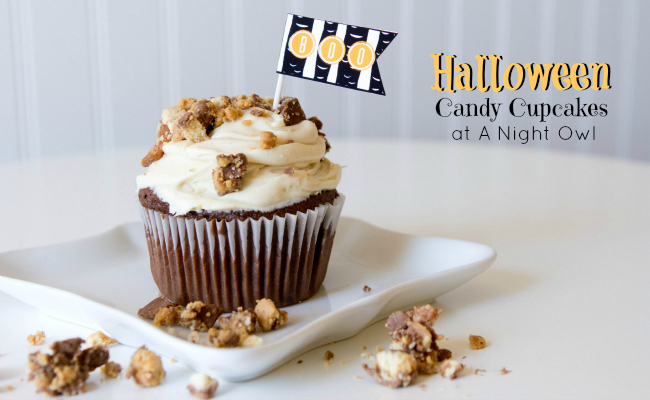 One of our most popular cupcakes to date, the Halloween Candy Cupcake, we put together to give you a good way to use all that leftover trick-or-treating candy. But really, just grab a couple bars of your favorite candy any time of year put together this tasty treat! One thing you'll find at A Night Owl on most Thursdays is our Thrifty Thursday series! I'm addicted to thrifting and upcycling! 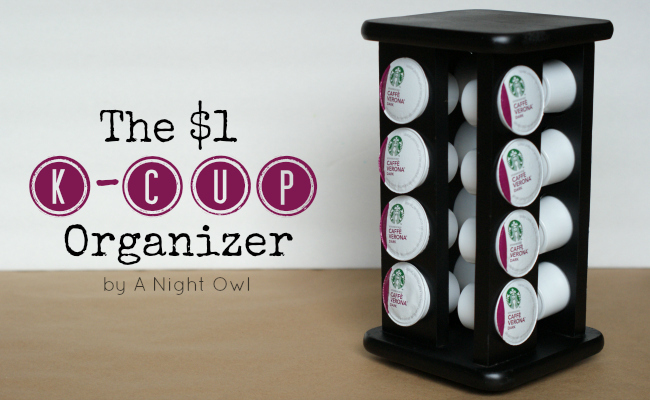 This is one of my favorite upcycle projects, where I turned a Goodwill spice rack into a $1 Keurig K-Cup Organizer! And last, but not least, as the mother of boys I have to find creative uses for tulle. You know, since there are no tutus in this house! So this year I've had fun creating a series of fun tulle wreaths. 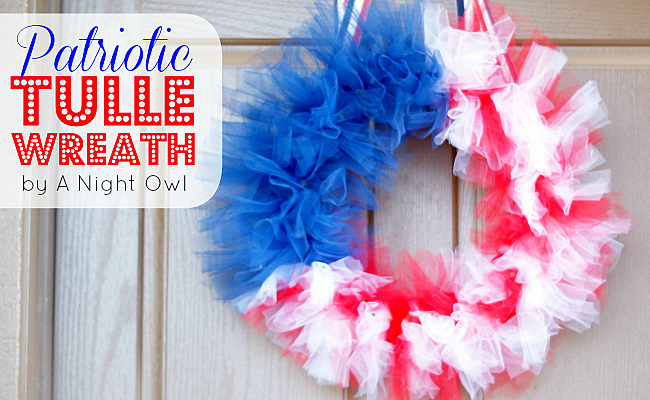 Our favorite one so far has been this Patriotic Tulle Flag Wreath! The tulle wreaths are fun and fluffy, but this one just takes the cake with great combination of red, white and blue! Well that was fun! I hope you enjoyed the projects that I shared with you today, and if you like what you see, that you'd consider joining us for future posts and projects! I want to thank Ginger again for having me, and I wish each and everyone of you Happy Holidays, Merry Christmas, and a Happy New Year!